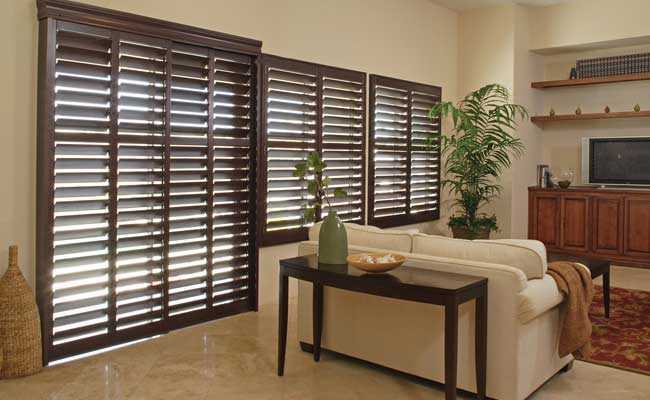 At Gemini Blinds, we have a range of made-to-measure shutters designed specifically for bi-folding doors. Utilising a track system built for wider windows, our bi-folding/patio door shutters can maximise the style and functionality of your bi-fold doors. Track system shutters are easy to use and allow you to control the level of light filtration and privacy of the entire room. With attentive and professional fitting by our expert team, you can rely on the smooth operation of sliding shutters for many years to come. 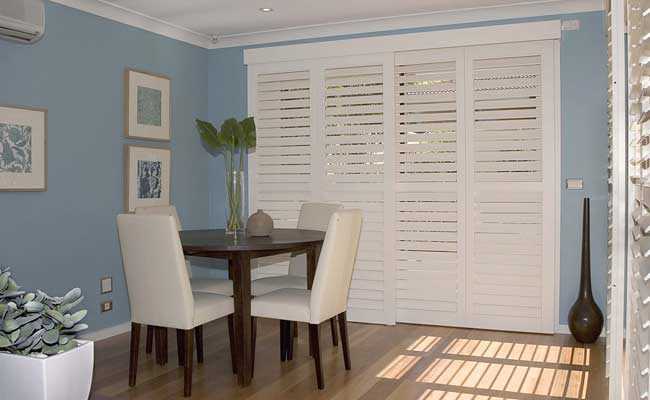 Track plantation shutters come in a range of materials to suit any style. These include wood, faux wood, vinyl and PVC. In addition, we also have a huge range of colours to choose from, so whether your home is contemporary and filled with lighter shades, or more traditional with darker wood texture throughout, your bi-folding shutters will fit in seamlessly. To discuss your requirements with us – or to arrange a free home consultation wherever you are in Chester, Manchester, Liverpool or the Wirral – contact our friendly team today. 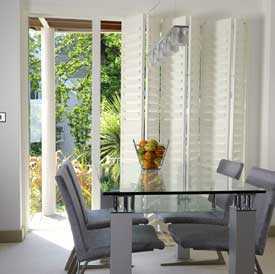 We also offer made to measure bi folding door blinds in a range of styles too!